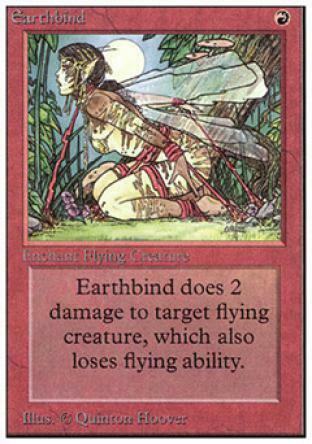 If cast on a flying creature, Earthbind removes flying ability and does 2 damage to target creature; this damage occurs only once, at the time Earthbind is cast. If another spell or effect later gives target creature flying ability, Earthbind does not affect this. Earthbind has no effect on non-flying creatures.